Change Times... Changing Tunes... Sometimes! 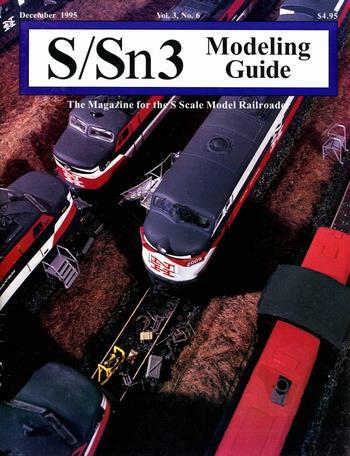 An editorial about how people used to complaint about things not being available in S-scale. Now that more products are available, people still complain. After covering the prototype history of the New Haven's Pullman-Standard passenger coach cars ordered after the 1930s, the author continues by describing how A.C. Gilbert American Flyer and American Hi-Rail passenger cars can be used to model these prototype cars. Includes model photos, a 1958 New Haven main line diagram, and construction drawings. The author describes how he built a tunnel portal out of air-drying clay. Using hydrocal-based kit pieces from both HO- and S-scale kits to form kitbashed structures. Steel coil loads made out of injection-molded styrene, and a rack specifically made for an American Flyer gondola.